1. Om Prakash Rawat, a 1977 batch Indian Administrative Services (IAS) officer of Madhya Pradesh cadre was appointed as the Election Commissioner of India. His appointment will come into effect from the day he assumes office. With Rawat’s appointment, the sole vacancy in the three-member poll body has been filled. Rawat will have tenure of more than three years which will end in December 2018. He had retired from government service in December 2014. Naseem Zaidi is the Chief Election Commissioner and Achal Kumar Jyoti is the other Election Commissioner. 2. The two young men from Udhampur in Jammu and Kashmir, who overpowered and caught alive Naveed alias Mohammad Usman, a Lashkar-e-Toiba (LeT) terrorist last week, were given Chhatrapati Shivaji Maharaj Bravery award for showing exemplary courage. Rakesh Sharma and Vikramjit were felicitated and given the award by the All India Anti Terrorist Front (AIATF) chairman M.S. Bitta and Bollywood actor Suniel Shetty. The duo were given cash prize of Rs. 1 lakh each. 3. The Reserve Bank of India paid a dividend of nearly Rs. 66,000 crore to the government, the highest ever from the central bank in its 80-year history, and 22% more than it paid last year. On a point to point basis, RBI's dividend payment to the government is up more than four times in as many years. This payment can help ease the government's finances, help meet its fiscal deficit targets, provide liquidity to the system so that the rate of interest remains low. 4. The programme to pay cash subsidy to cooking gas LPG consumers has been recognised by Guinness Book of World Records as the largest cash transfer programme in the world. The Direct Benefit Transfer on LPG (DBTL), or Pratyaksha Hastaantarit Laabh (PAHAL) scheme, was launched in 54 districts on November 15, 2014 and all over the country from January 1, 2015 with a view to provide subsidy to the right beneficiary and to cut diversion and subsidised fuel being consumed by unintended segments like restaurants and other commercial establishments. 5. 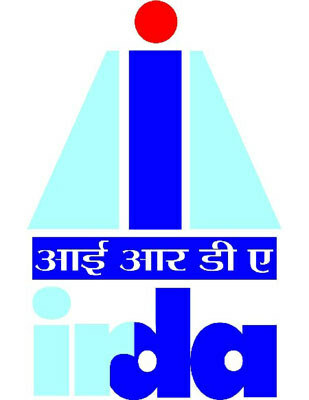 The Insurance Regulatory and Development Authority of India (IRDAI) allowed banks to tie up with insurance companies. This decision is taken on the basis of 'Bancasurance' guidelines soon to be notified. Prior to this decision no bank was allowed to tie up with more than one insurance company. Now, according to the new bancassurance guidelines banks can tie up with a maximum of 9 insurers from three segments —life, non–life and standalone health insurers — as part of the new. While such a tie-up will not be mandatory on the banks. 6. Bollywood actress Parineeti Chopra was the Grand Marshall and guest of honour at the prestigious New York India Day Parade to be held in New York this year. The non resident Indians (NRIs) on August 16 was gather in New York from all across North America to celebrate the independence of India. 7. Marathi writer Prof Shyam Manohar has been selected for the Kuvempu Rashtriya Puraskar-2015. It is a national award instituted in memory of famous Kannada poet Kuvempu. The prestigious award carries a cash award of five lakh rupees. He will be honoured with the award in Kuppali, Karnataka on 29 December 2015, which is his birth anniversary. Shyam Manohar is the author of eight short story works, eight plays and many critical essays. Shyam Manohar is a retired professor from S.P. College, Pune. 8. The Indian Space Research Organisation (ISRO) fully commissioned and started commercial production of its indigenous titanium sponge plant. With the commissioning of this plant, India has become the seventh country in the world producing titanium sponge commercially. ISRO’s Vikram Sarabhai Space Centre (Ahmedabad) established India's first titanium sponge plant at Chavara in Kerala’s Kollam district. Titanium sponge is used primarily for space and defence applications. 9. Railway Minister Suresh Prabhu announced an investment of Rs. 8.50 lakh crore in Haryana in the next five years to strengthen rail network in the state. Prabhu, who is a Rajya Sabha MP from Haryana, also assured that a rail coach factory would be set up in the state. To provide smooth journey to the passengers, it has been decided to develop 400 world class railway stations throughout the country. 10. India and Slovak Republic have signed a Memorandum of Understanding (MoU) on technical cooperation in railway sector. The MoU was signed between India's Union Ministry of Railways and the Ministry of Transport, Construction and Regional Development of the Slovak Republic. The MoU will be valid for a period of two years and after completion of valid term it will be automatically renewed for further successive period of two years at a time.